Demonstrators carry a "Black Lives Matter" banner and protest the shooting death of Philando Castile as they gather in front of the police department in St Anthony, Minnesota, U.S., July 10, 2016. The Minnesota police officer who fatally shot a black man during a traffic stop last month was placed on administrative leave again after briefly returning to limited duty, officials said. 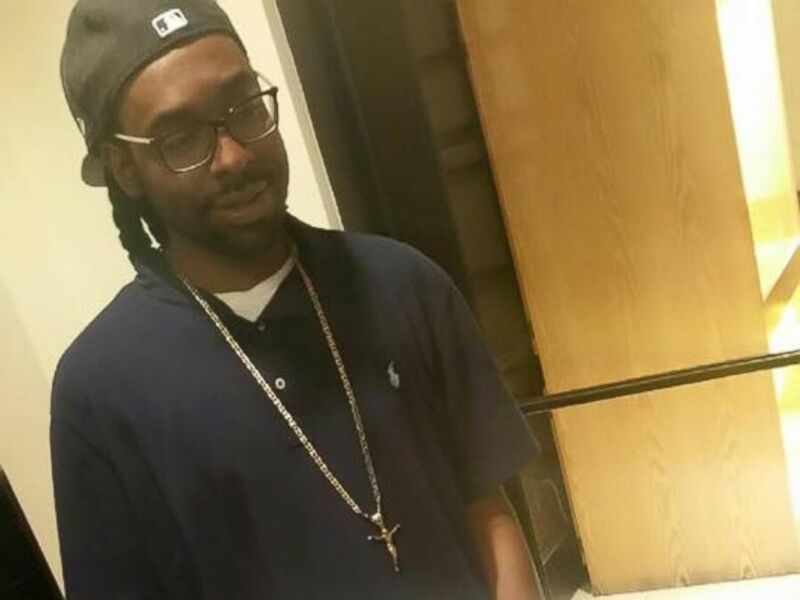 Add Philando Castile as an interest to stay up to date on the latest Philando Castile news, video, and analysis from ABC News. The city of St. Anthony decided to change Officer Jeronimo Yanez’s status “after reviewing concerns and other feedback from the community,” city officials said in a statement Wednesday. It was unclear if Yanez would still be paid on administrative leave. “Out of respect to the sensitive nature of the tragic incident and the concerns from the community, the Mayor, City Council and City Manager have decided to make this change,” the statement said. Yanez’s status with the St. Anthony Police Department will be reviewed after the state’s investigation into the incident is complete. City officials did not immediately respond to ABC News’ request to elaborate on the community’s “concerns” regarding Yanez’s reinstatement. The St. Anthony police officer shot and killed 32-year-old Philando Castile during a traffic stop in nearby Falcon Heights, a suburb of St. Paul, on July 6. Castile’s girlfriend, who was in the car with him and her daughter at the time, live-streamed the shooting’s aftermath on Facebook. The dramatic video shows Diamond Reynolds — sitting in a car with Castile, whose shirt appears soaked in blood — saying an officer shot her boyfriend. Reynolds can also be heard saying on video that the officer "asked him for license and registration. He told him that it was in his wallet but he had a pistol on him because he is licensed to carry. The officer said, 'Don't move.' As he was putting his hands back up, the officer shot him in the arm four or five times." The video shows a uniformed police officer holding a pistol on the couple from outside the car. The officer can be heard saying, "I told him not to reach for it. I told him to get his hand out." The Minnesota Bureau of Criminal Apprehension is investigating the incident. Philando Castile, 32, was shot and killed by police in Minnesota during a traffic stop, July 6, 2016. In a statement obtained by ABC News last month, Yanez’s attorney Thomas Kelly said the incident had nothing to do with race. In an interview with The Associated Press last week, St. Anthony Police Chief Jon Mangseth said Yanez, who is Latino, has had a good reputation since joining the city's police force in late 2011. The chief described the 28-year-old officer as energetic and intelligent. "He has a real sound ability when it comes to communicating and relating to people," Mangseth told the AP. "He showed me that he could shine in that public eye." Requests for comment to Yanez’s attorney and the attorney for Castile’s mom, Valerie, were not immediately returned.